Following on from the recent news of their first ever arena headline tour, Foals return with an official video to their latest single, Give It All. 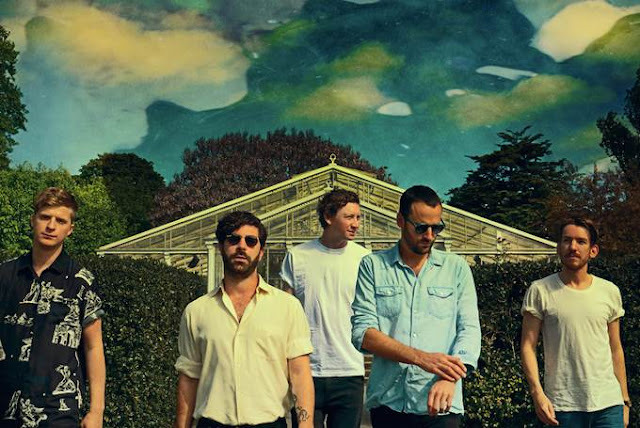 Taken from their new LP 'What Went Down' the band switch from their heavy guitar populated stance to bring out a more expansive side as thundering percussion rains down around a shimmering backdrop filled with Yannis' euphoric vocal lead. “That was one where it felt like stripping all the support and architecture of the band away and allowing it to be just a vocal and some chords,” explained Yannis in an interview with NME. “That song more than anything we’ve ever done has been lead by its vocal. It felt like the purest bit of songwriting we’d ever done. It felt like a step forward”. Directed by Nabil Elderkin and starring Jérémie Renier and Caroline Fauvet, check out the cinematically shot clip above filmed in Paris.